Getting lean never happens as fast as we’d like. You train hard, your muscles get sore, and you expect your six-pack to appear. You’re following a diet plan, reducing your carbs, eating more protein, sleeping early and expect your love handles to melt away in less than a week. How can you speed up your fat burning? Certain foods can enhance your appetite hormones, pump up your metabolism and speed up your fat oxidation! 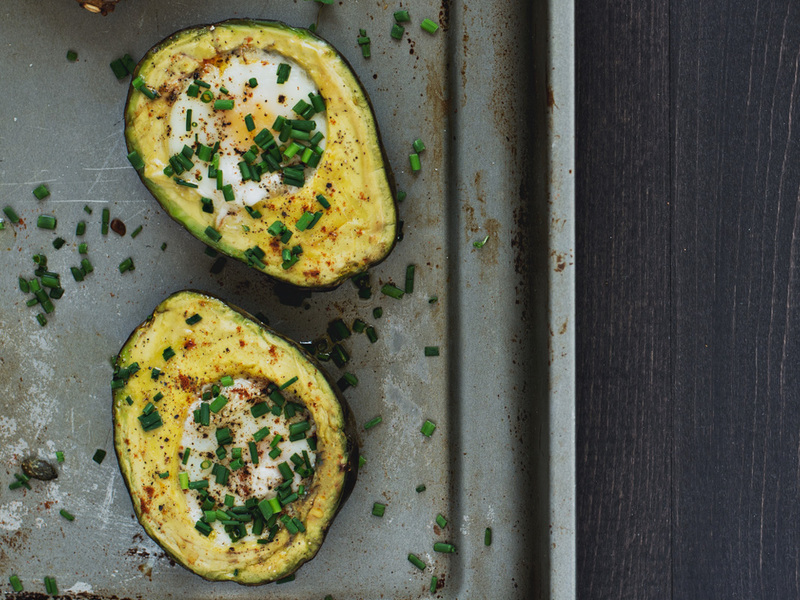 Here are four fat burning foods to include in your diet plan. Eggs for breakfast are best for fat loss and a leaner body composition. In a study, those who had 2 eggs in the morning lost more fat than those who had bagels or other carb-based breakfast items. They lost 16% more body fat and had 34% more reduction in their waist circumference after 2 months! Eggs support your fat loss by improving your satiety and appetite hormones. They’re high in protein and according to recent research having a protein-rich breakfast reduces ghrelin, your hunger hormone. So having eggs in the morning controls your appetite and makes you eat less during the day. Other studies showed that having eggs when you’re on a low carb diet enhances adiponectin, the hormone that regulates fatty acid breakdown. Try getting at least 20g of protein from eggs in the morning to support your fat loss. One egg has 6 to 7g of protein so try having 3 to 4 eggs. Don’t have time to prepare? Make your life easier and order Fuel Up. Any 200g Fuel Up egg breakfast provides you between 22 and 35g of protein. We offer plain omelets, omelets with vegetables like tomatoes, red pepper and onions, and omelets with turkey and cheese. Nuts are high in fat, but fat doesn’t make you fat when you’re following a low carb diet. Diets rich in nuts, especially almonds, enhance your body composition to get you leaner and harder. In a study, 2 groups of people followed a diet similar in calories but different in carb and fat composition. One group had a low carb diet supplemented with half a cup of almonds daily. The other group focused more on complex carbs. After 2 months, both groups lost fat but the complex carb diet group reached a plateau. After 6 months, the almond group lost 56% more body fat and had 50% more reduction in their waist circumference! Nuts have fibers, protein and fat. This combo improves your satiety so makes you feel full for longer. Also, some researchers found that the cell walls in almonds could act as a physical barrier to fat absorption and therefore fat from almonds might not be completely absorbed. Chicken, fish and lean meat are top sources of good quality protein. Increased protein intakes suppress your appetite, pump up your metabolism, increase fat oxidation and therefore help you lose fat fast. In a study, 2 groups followed a diet similar in calories but one group had at least 30% of their total calories from protein and the other group only 15%. The high protein group reported feeling full during the day and didn’t have any desire to eat or snack at night. People who ate more chicken, fish and lean meat were found to burn 80 to 100 extra calories a day. This is due to the high thermic effect of protein (20 to 35% vs 5 to 15% for carbs and fats). In fact, your body uses more energy when digesting protein compared to carbs and fats. Another study showed that those who had 30% of protein from their calories ate 400 to 500 fewer calories a day and therefore lost half to 1 kg a week without following a calorie-restricted diet! Try having 30% of your total calories from protein to speed up your fat burning process. This is more or less equivalent to at least 2.2g protein/kg. For example if you weigh 90kg, you should eat at least 200g of protein. You can easily reach this number with Fuel Up! Choose from 100, 200 to 300g of high quality protein sources like chicken, beef tenderloin, grilled salmon, turkey meatballs and white fish! Including coconut oil in your diet is another way to speed up your fat burning process, especially belly fat. A 3-month study showed that those who had 2 tablespoons of coconut oil when following a calorie-restricted diet lost more belly fat than those who had the same diet but using other types of oils. This is related to the unique fatty acid composition of coconut oil. It contains medium chain triglycerides, also known as MCTs. These are saturated fats that are metabolized differently; your liver absorbs them easily and your body uses them as energy instead of storing them as fat. MCT intakes were also found to pump up your metabolism and enhance fat oxidation. A dose of 10 to 15 g (equivalent to 1 to 2 tablespoons) a day was found to increase energy expenditure by 5%, which means you can burn around 100 more calories a day. In another study, participants replacing oil in the diet with MCTs consumed 250 fewer calories a day. Try using 1 tablespoon of extra virgin coconut oil a day to get your six-pack faster. You can add it to your protein shake, to your coffee or when cooking your proteins. Ratliff, Joseph C., et al. “Eggs modulate the inflammatory response to carbohydrate restricted diets in overweight men.” Nutr Metab (Lond) 5.1 (2008): 6. Leidy, Heather J., et al. “Beneficial effects of a higher-protein breakfast on the appetitive, hormonal, and neural signals controlling energy intake regulation in overweight/obese,“breakfast-skipping,” late-adolescent girls.” The American journal of clinical nutrition (2013). Dona Maria Mesmar is the Nutrition Manager for Kcal Brands. She develops nutrition and diet programs for athletes and provides them with one on one nutrition consultation to help them achieve their body composition goals. She is also a certified fitness instructor, published nutrition writer and has appeared numerous times on national live TV, where she has provided expert advice on nutrition and healthy eating. Keto Diets – Are They Right For You?